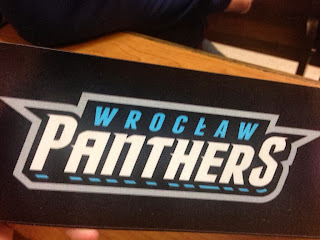 Home PLFA Poland: It's Official - Wrocław Panthers - You’re Gonna Hear Them Roar! Poland: It's Official - Wrocław Panthers - You’re Gonna Hear Them Roar! Some of us heard the rumors about this merger, it has been going on back and forth at least since SuperFinal VI –in 2011. Two local powerhouses from Wroclaw The Crew merging with local rival Devils. Back then things didn't go as planned and from the ashes the Giants Wroclaw were born – but due to the legal issues and debts of their predecessor they were forced to play the 2012 season in Czech League of American Football and EFAF Cup they finished 3rd behind Prague Panthers and Prague Black Hawks. Meanwhile, the Devils Wrocław lost some starters to local rival and they had one of the most tumultuous year in their modern times. I was a member of the Devils that year and I think the comparison of the 2012 season to the “no seatbelts rollercoaster ride” was accurate . We finished 3rd in the TopLiga, losing to the Warsaw Eagles in the semi-final . The 2013 was about one buzz word for both Wroclaw Teams – Redemption . To give you the picture the Devils finished the regular season with Topliga’s best record of 9-1- only loss to the Giants. The Giants were third with 8-2 the only L’s to Devils and Seahawks Gdynia. Then came the Playoffs – Devils again faced Eagles and again fell short mainly due to the injuries to key playmakers. The Giants delivered when it mattered most – Jamal Schulters scored all 9TD’s (Nine) for the teams in 2 games, but without the contribution of the whole team the title wouldn’t come back to the Capital of Lower Silesia. To finish the 2013 Season – Giants organized a flag-football tournament, a laid back non competition fun oriented event, during I had the chance I had the chance to talk to one of the Team’s movers and shakers about the future of the organization. Some hints here and there, no contract extension for the Devils Wrocław HC Val Gunn. When earlier today Dawid Tarczynski – Vice President of the Devils (and pretty good slot WR) posted a link to a picture on his twitter account with a comment Time to grow up!!! I knew there were only 2 possible things that could have happened a)he has got engaged or b) the merger has been finalized. The Panthers have a financial stability due to the financing of the Tarczynski S.A Polish leading cold meat manufacturer The other important pillar of the team’s financial future is Mitutoyo–producer of high accuracy measuring machinery. To transfer it to the field their roster is beefed and calibrated enough that they are capable of winning the Polish TopLiga without Imports! But my speculation is the obvious catalyst for the move was the possibility of taking part in the new IFAF Cup scheduled for 2014. The official press conference is scheduled for tomorrow morning, but for now I have the gut feeling that the Wroclaw Panthers are going to make a loud roar!